While all eyes are on Apple and it’s education focused event where we expect the company to bring at least one new iPad, the folks over at Xiaomi also have a new device to share, with the Mi Mix 2S announced in Shanghai earlier today. The phone is claimed to not only have features and specifications that compete with Apple’s iPhone X, but it also comes in a around half the price of Apple’s current flagship model. 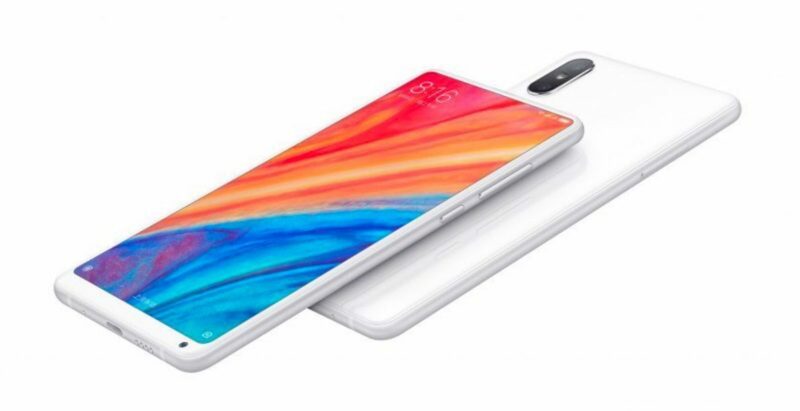 To look at from the front, the Mi MIX 2S looks almost identical to the Mi MIX 2 that was only announced a few months ago. Internally, things have been changed up and it’s the same story around the back, but if you glance at that 5.9-inch display with its minimal bezels (although the bottom chin is a bit too big for our liking) you could be forgiven for wondering which phone you are looking at here. Just like the original, the Mi MIX 2S features a 5-megapixel camera in its bottom chin bezel, meaning it does not need to go the notch route that Apple’s iPhone made famous. 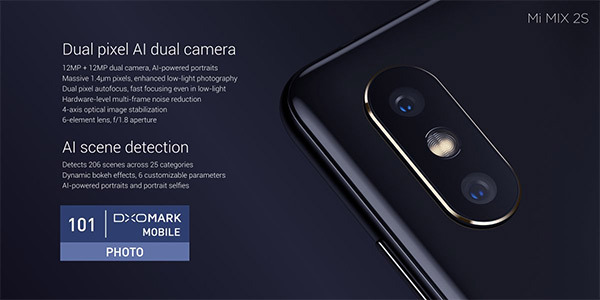 The new phone does gain Qi-capable wireless charging through, and around the back lives a fingerprint sensor and a new 12-megapixel dual camera system which makes use of a telephoto lens and a wide-angle lens to allow for the portrait shots we have come accustomed to from such phones. Inside, the new phone uses what is becoming the standard for Android phones in 2018 – the Qualcomm Snapdragon 845 processor. Alongside that is either 6GB or 8GB of memory depending on model with the same 3,400mAh battery found in the model releases earlier. There’s no headphone jack either, so that’s something to remember if you’re a big music fan. Set to ship with Android 8.0 installed out the box and coming in 64, 128, or 256GB of storage capacities, the Mi MIX 2S will be available in black or silver, both starting at 3,299 yuan (about $526) for the base model, and rising to 3,999 yuan (about $640) for the best version which also includes a wireless charging pad. Users in China will be able to pick the phone up next week, but if you’re waiting for it to ship anywhere other than Xiaomi’s existing established markets, you may be out of luck.